It is common practice to use reinforced or prestressed concrete structures for the storage of water and other aqueous liquids. Similar design methods may also be used to design basements in buildings where groundwater must be excluded. For such purposes as these, concrete is generally the most economical material of construction and, when correctly designed and constructed, will provide long life and low maintenance costs. 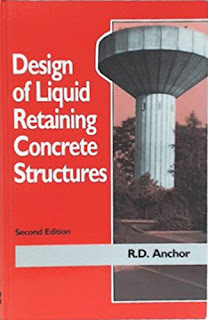 The design methods given in this book are appropriate for the following types of structure (all of which are in-line with the scope of Part 3 of Eurocode 2, BS EN 1992-3, 2006): storage tanks, reservoirs, swimming pools, elevated tanks (not the tower supporting the tank), ponds, settlement tanks, basement walls, and similar structures (Figures 1.1 and 1.2). Speci ﬁ cally excluded are: dams, structures subjected to dynamic forces, and pipelines, aqueducts or other types of structure for the conveyance of liquids.